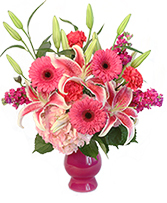 Send some stylish affection with our Glamorous bouquet. 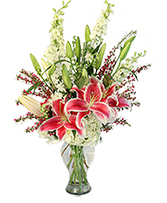 Lush stargazer lilies and deep red roses make a combination meant for the red carpet. 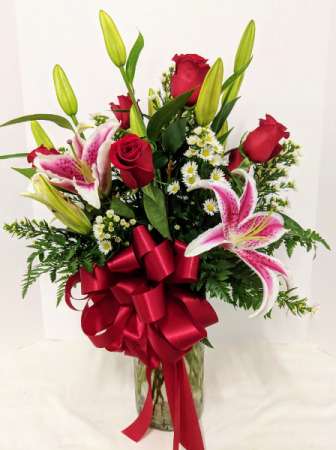 Unconditional love can be tough, but sending flowers is easy with The Flower Cottage & Gifts! 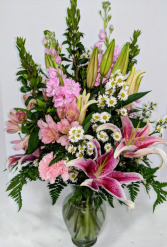 Give a little love with this gorgeous array of mixed pink flowers to the one you love most.